For commercial moving services you can depend on, get in touch with us at Abstract Moving & Delivery in Saskatoon. We specialize in loading/unloading, courier services, contract work, and many other convenient services to smooth out your moving process. Contact us to learn more about our commercial and office moves today. If you are moving into a new office, allow Abstract Moving & Delivery to help you efficiently pack your belongings and safely move them where you need them. Save time, reduce damage, and maximize your office space with our comprehensive moving services. 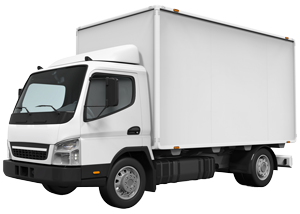 Complete loading and unloading services are available for commercial moves as well! From disassembling and reassembling your office furniture to transporting heavy filing cabinets, you can rely on our movers to get the job done. Our courier services are ideal for those in and around Saskatoon. We transport packages and other deliveries to offices, warehouses, small businesses, and more. The courier team at Abstract Moving & Delivery will deliver your items in a safe and timely manner. At Abstract Moving & Delivery, we offer additional contract work within any type of commercial space. Our contractors are committed to providing extensive services that can be entirely tailored to meet your needs. Get in touch with us to learn more details.